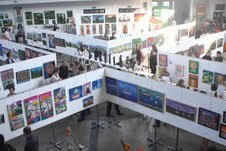 Even during this economic downturn in Europe the members of Fivan, Szyb Gallery and Jacques Dubois particularly, has manage to pull off the impossible – another successful Naive Art Festival in Katowice, Poland. As this exhibition is continuing into August I sincerely hope that you will try to some and see it. This painting “Playing hide and seek” was in last year’s festival in Poland and crisscrossed the world as it ended up selling to a Japanese client. This exhibition whereby artists from 32 countries around the world are chosen to take part is only the 5th Art Naif Festival held in Poland and the host gallery is again the amazing Szyb Wilson Gallery. It is the privately owned gallery in Poland and I would think one of the largest if not the largest private gallery in the world at 2500 square meters on two big halls and a balcony. It is situated 10 minutes away from the city center in the Nikiszowiec district which is a historical settlement of Katowice. 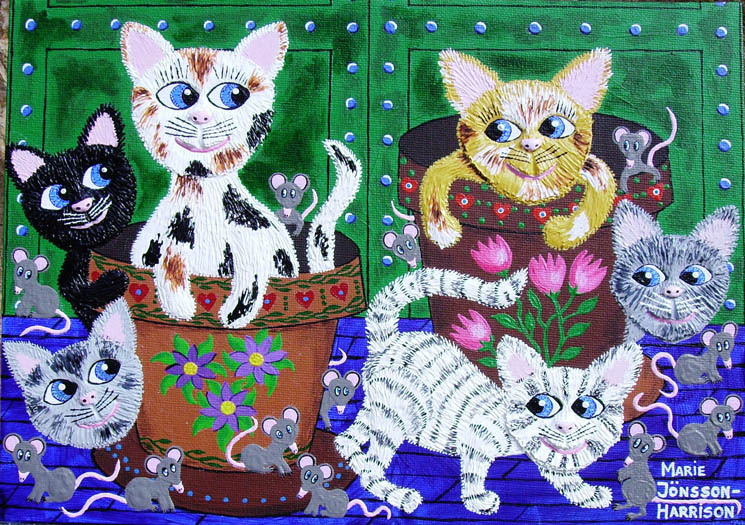 Last year Cuba was the guest country and this year we celebrate Israel and their wonderful Naive artists, they have a great history of Naive art with a terrific gallery that supports them in Tel Aviv called Gina Gallery of International Naive Art. It is also from Israel that my latest venture with ARTnBED comes from with art works on duvet and shams (quilt covers and pillowcases) that were recently released both in Israel and USA. The philosophy of Dan Chill the owner of Gina Gallery is as follows “GINA Gallery seeks to support the naïve artists‘ quest for “Paradise Lost;” to encourage them to share their timeless vision of everyday life; and to provide them with a forum to bare the child-like ruminations of their hearts and souls. In parallel, GINA Gallery hopes to facilitate the entry into this field of talented, mostly self-taught artists (young and old) who strive to relate – by means of brush, paint and canvas — the fairy tale figments of their fertile imaginations. Last year’s winner of the Grand Prize of the Public 2011 was Stefen Lewis from Tanzania which means he has the honor of designing this year’s poster for the Festival. This year Museum PASZIN, located in south eastern Poland was invited to submit 100 sculptures dating back from the early 60s. Also the Museum of Lodz followed suit and presents 50 pieces on the theme of Mary, mother of Jesus. 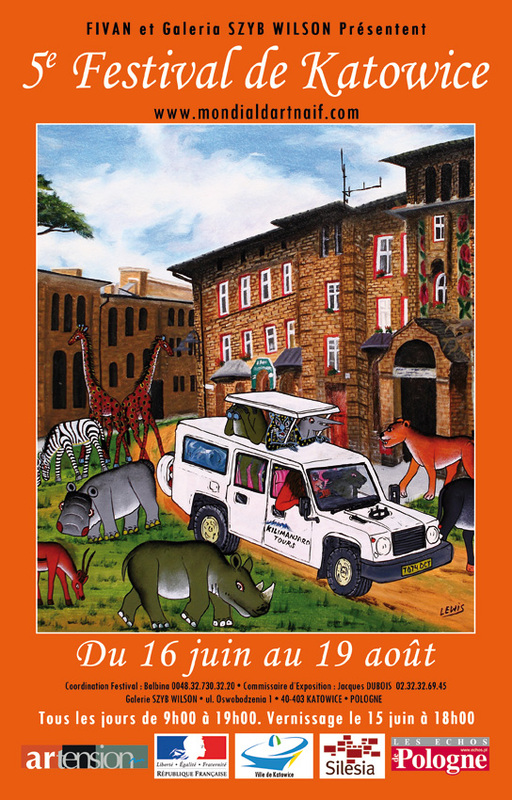 This year even the best major Taxi companies have gotten behind the festival and are acting as “Ambassadors” handing out cards to the tourists with naive paintings on the back. This is another ingenious idea by Jacques Dubois and his wonderful team from Fivan, Szyb Wilson Gallery and helpers from Poland and France. We salute you!